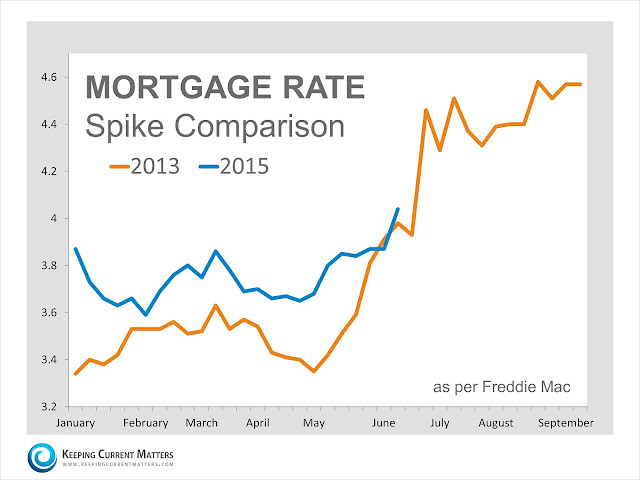 Houses & Homes VA: Mortgage Rates Just Jumped Over 4%. Now What? Last week, mortgage interest rates jumped over the 4% mark for the first time this year according to Freddie Mac’s Mortgage Market Survey. This is the same type of commentary we heard back in the spring of 2013 when the talk of the Fed possibly raising rates caused mortgage interest rates to surge by a full percentage point from the end of April through the end of June of that year. Will We See that Same Surge in 2015? No one knows for sure. 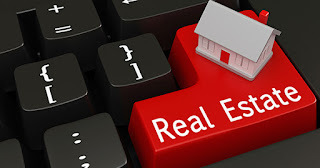 However, Fannie Mae, Freddie Mac, the Mortgage Bankers Association and the National Association of Realtors are each calling for rates to continue their upswing over the next six quarters. Though no one can definitely say where rates will be six months from now, most experts believe they will be higher. If you are thinking of buying your first home or are considering a move up to the house of your family’s dreams, now may be the best time to do it.